The new range of Elgin & Hall and Worcestershire marble fireplaces with ambient lighting make quite a statement. 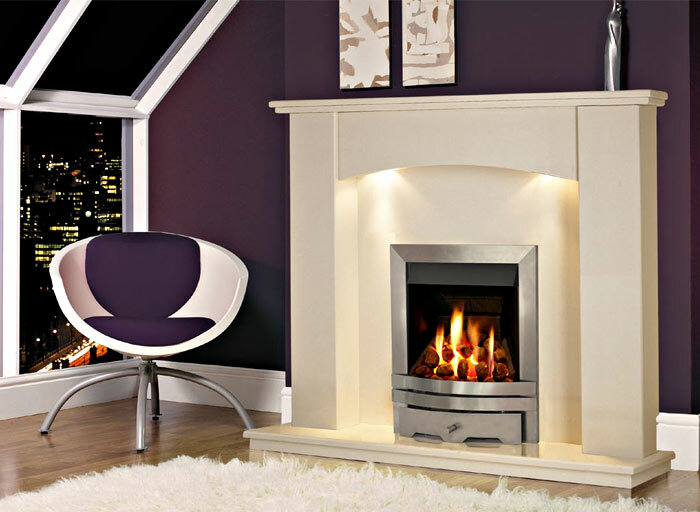 We supply and install marble fireplaces from Capital Fireplace, Elgin & Hall, Southern Counties and Aurora Marble & Granite with ambient lighting. Our natural stone fireplaces come in a variety of finishes including Portuguese Limestone by Capital Fireplaces, Newman Fireplaces and County Stone with ambient lighting. We offer a made to measure service. All stone fireplaces combine the latest cutting technology with traditional carving skills, and can be seen in our showroom in Wokingham.